My feeling always has been that if Houdini did indeed have the Mirror cuff made himself that the Daily Mirror never knew it. There would be the potential for someone to come forward even many years later to tell the real story. That never happened and Houdini was too smart to be put in a position to let this happen. Houdini and the Mirror wouldn't need to commission the handcuffs themselves to prearrange the escape. Houdini, or he and the Mirror, would just need a duplicate key. 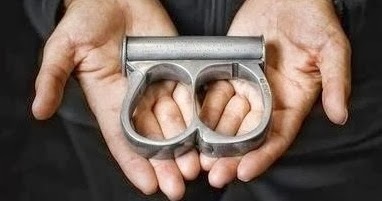 I think the strongest argument against this being a genuine challenge is how hard it would be pick a double Bramah lock in any conditions, let alone while wearing handcuffs. What if a genuine challenge and Houdini was able to make an impression of the key? Has anyone ever made a replica of the Silver Mirror Cuffs? A locksmith would have to answer about an impression of the key. I'd have to doubt it. A Bramah key is a cylinder with notches spaced around it. It's not a flat object. Generally one would use a wax like substance and get a impression of the key on both sides and head on. Remember Houdini was an expert in these regards. I would think that attempting to make a duplicate key from a wax impression would be almost impossible using the resources that had back in the early 1900's. Possibly today, with 3d printers, it might work, but the Bramah lock is so precise, that even if just one of the cuts in the key was slightly different to the original, the key just would not work. The replica cuffs were actually presented to H on stage at the Brighton Hippodrome on Saturday 14th May 1904. Interestingly, the handbill advertising this states that he escaped in 62 minutes - previous reports I've seen said an hour and 10 minutes. Also, it says that it took the safe-lock maker, N Hart, 5 years to make the original pair - he apparently started making them before H even arrived in the UK then! 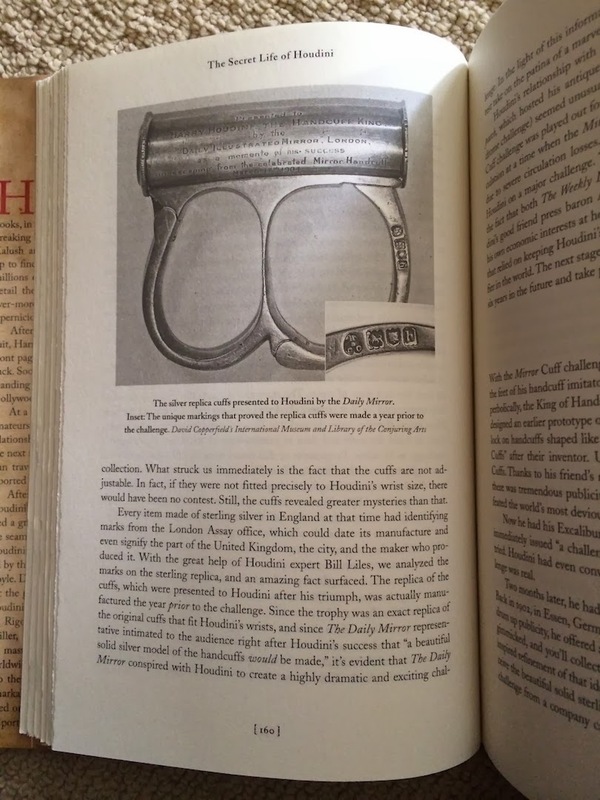 I should add too that the Daily Mirror (Daily Illustrated Mirror as it was in 1904) had only been existence for a few months (established November 2003) when the challenge took place, so it could not have commissioned the manufacture of the actual cuffs before that point, let alone 5 years in advance. I've also just realised that this post was a guest blog by my friend Mick Hanzlik, who was kind enough to show me the replica cuffs he manufactured, and to present me with one of the replica keys he made. He was a lovely man and is sadly missed.